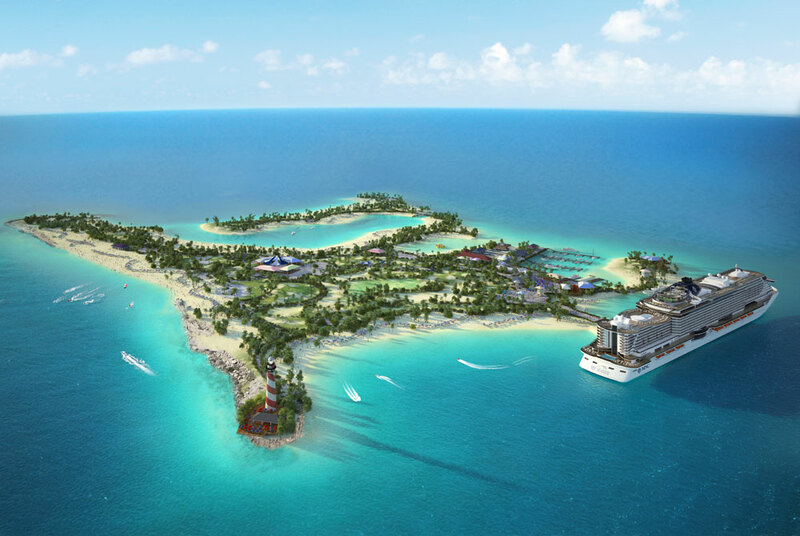 MSC Cruises upcoming Ocean Cay Marine Reserve in the Bahamas has broken ground and one step further to completion in 2018. A ceremony was held on the Island which is located south of Bimini in The Bahamas. 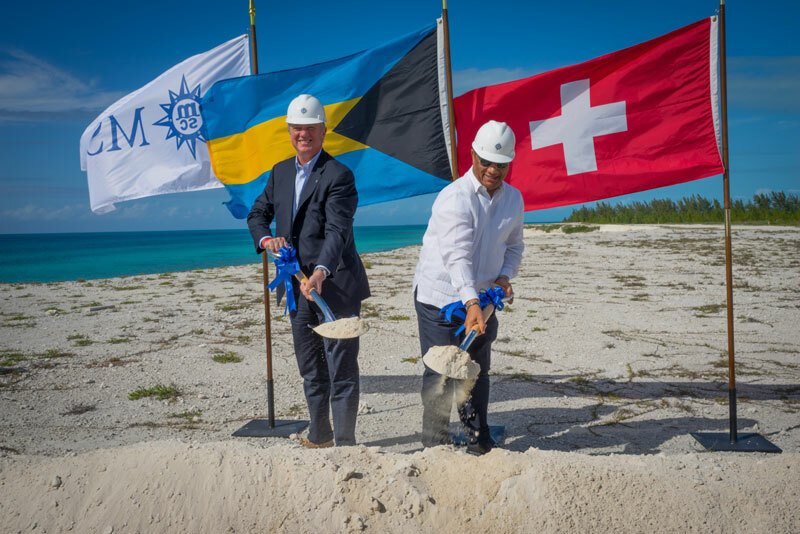 The Right Honorable Perry Gladstone Christie, Prime Minister of The Bahamas joined Pierfrancesco Vago, MSC Cruises’ Executive Chairman, at the official Groundbreaking Ceremony along with other Bahamian ministers and government officials. The major ground-breaking milestone marks the official commencement of the works that will turn this former industrial sand extraction site back into its original pristine state. There is still a long way to go and more milestones to come before Ocean Cay official opens in November 2018. The development of the Ocean Cay MSC Marine Reserve is part of MSC Cruises’ unprecedented $10.2 billion investment plan, which includes the building of up to 11 next-generation smart ships coming into service between 2017 and 2026. The first phase of development of the marine reserve will now begin as the island is cleared of existing industrial infrastructure so it can be turned again into a pristine marine reserve. The cruise lines upcoming MSC Seaside will be among the first ships to begin calling at Ocean Cay from November 2018.